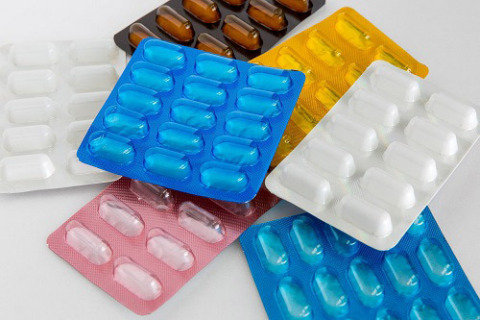 Mitsui Chemicals, Inc. (TOKYO: 4183; President&CEO: Tsutomu Tannowa) announced the successful development of XSP series of ChemipearlTM which is a high performance “Water-based Heat Seal Coating” for pharmaceutical blister packaging. ChemipearlTM XSP will provide an environment friendly alternative for existing solvent based heat seal coatings, which contain around 70-80% of organic solvent. In India, most of the converting companies which produce coated aluminum lid foil release the solvent directly to open air, causing environment pollution. ChemipearlTM XSP will help converting companies to reduce the VOCs (Volatile Organic Compounds) emission significantly and indirectly help pharmaceutical companies to reduce their carbon footprints and move towards sustainable packaging for a better society. Bilcare Limited, India’s leading innovation-driven technology solution company has been associated with Mitsui Chemicals to develop this application. Applying this innovative technology by Mitsui Chemicals, Bilcare aims to provide Al foils coated with water based heat seal coating under the brand name “Zeon AquaTM” to global pharmaceutical packaging industry for the PTP blister packaging application. Working together Mitsui Chemicals and Bilcare are committed to provide value added products to global pharmaceutical industry. Bilcare will display “Zeon AquaTM” at CPhI India (https://www.cphi.com/india/) during 28-30 November at Bombay Exhibition Centre, Goregaon, Mumbai, India. ChemipearlTM XSP based Al foil has been welcomed by Indian pharmaceutical companies. Its stability tests are ongoing at major pharmaceutical companies of India. ChemipearlTM XSP is sold as a “Converter Ready Solution”. It can be applied to Al foil and paper by gravure coating system. ChemipearlTM XSP coated Al foil can be directly sealed with both PVC and PVDC. It exhibits excellent performance with both flat seal and high speed rotary seal blister packaging machines. Excellent sealing at low heat seal temperature hence it is useful for packaging of temperature sensitive medicines, lowering energy costs, increasing line speeds and reducing damage to the film substrate. The roots of Mitsui Chemicals, Inc. can be traced back to 1912 when it began producing raw material for chemical fertilizers from coal gas byproducts, the first company in Japan to do so. This undertaking significantly contributed to increasing agricultural productivity, a major social issue at the time. Later, the company evolved its technology from coal chemicals to gas chemicals, and in 1958 it built Japan’s first petrochemical complex and so provided impetus to Japan’s industry. Today, the company boasts many world-class products with sales standing at over 1,200 billion yen and with over 130 companies in 28 countries. Its business portfolio includes environment-friendly materials for next-generation mobility, healthcare services to realize health and happiness in an ageing society, packaging that ensures the reliability and safety of food products, agrochemicals that contribute to increased production of food, electronic materials, and environment and energy sector. Mitsui Chemicals will continue to contribute to solving social challenges with its state-of-the-art technology and by “Creating New Customer Value through Innovation”. Bilcare Limited is a global leader and an innovation-led packaging solutions provider that partners with the pharmaceutical industry to improve patient healthcare outcomes. Bilcare endeavor to deliver effective and affordable solutions that enhance the speed and quality of drug discovery and help build and protect brands by ensuring the delivery of genuine medicines to patients. Bilcare’s multiple manufacturing and R&D facilities on Innovative Pharma Packaging Solutions are spread across in Europe, USA and Asia. Bilcare is serving to over 100 countries with its wide range products and services. Bilcare has a global customer base and customers comprise many of the largest global pharmaceutical companies.